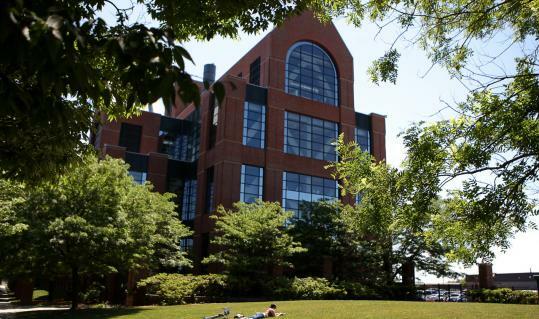 In an unprecedented move for Genzyme Corp., the state’s largest biotechnology company has halted production of two drugs for rare genetic disorders after a virus was discovered in production equipment at its Allston plant. “Patients will be required to miss infusions,’’ Geoff McDonough, president of Genzyme’s genetic disease business unit, said during a conference call yesterday. Cerezyme is used to treat Gaucher disease, an enzyme deficiency in which fatty substances accumulate in the spleen, liver, lungs, bone marrow, and - sometimes - the brain. It can cause bruising, enlarged organs, and lung and kidney ailments. Fabrazyme treats Fabry disease, in which a missing or faulty enzyme prevents the body from breaking down oils, waxes, and fatty acids that build up in the eyes and kidneys, as well as the nervous and cardiovascular systems. As a result of the plant’s shutdown, the Cambridge-based company said, Cerezyme patients could go without one or two treatments, while those taking Fabrazyme may need to skip up to four doses. Patients usually receive the drugs intravenously every two weeks. The missed doses will not cause significant health problems, according to Genzyme, because most patients’ bodies have been cleansed of the fatty substances, and it takes more than a few skipped treatments for them to return. “It is not a life-and-death immediate acute situation we’re dealing with here,’’ said Henri Termeer, the company’s chief executive. Still, Jack Johnson, 46, who has Fabry disease, said any disruption in the drug supply “could be disturbing to patients, there’s no question about that.’’ Johnson, who lives in Missouri, said he has been taking enzyme replacement drugs since 2000. Christopher C. Kelly, an FDA spokesman, said the agency had begun a probe into the production problem at the Allston plant. “I can’t currently discuss anything more because it’s an open investigation,’’ Kelly said. Last fall, an FDA inspection of the Allston plant found “significant deviations from current good manufacturing practice in the manufacture of licensed therapeutic drug products, bulk drug substances, and drug components,’’ according to a warning letter sent to Termeer on Feb. 27. Kelly would not say whether the deviations cited in the letter were related to the latest problem. “Everybody has contamination issues in biotechnology, but contamination with a virus is rare,’’ said chemical engineering professor Carl W. Lawton, director of the Massachusetts Biomanufacturing Center at the University of Massachusetts at Lowell. The two drugs are made from living cells in six bioreactors at the plant. Genzyme said it detected the virus strain, Vesivirus 2117, in one reactor over the weekend, using a test it engineered following two previous contamination incidents - one in Allston and another at a Genzyme facility in Belgium. The virus impairs cell growth, a key to the production of drugs like Cerezyme and Fabrazyme. Genzyme officials suspect the virus got into the reactor in a nutrient used to help grow the Chinese hamster ovary cells used in making Cerezyme. “There is no clear common source between the [production] lots where we have had this issue, so we are going further back in the supply process to identify the point where this could have come in,’’ said Mark Bamforth, senior vice president for corporate operations. But precisely where the virus originated may never be known, company officials added. The incident reinforces the need for continued vigilance in the biotech manufacturing process, industry watchers said. Unlike traditional chemical-based drug production, they said, even slight changes in temperature or pH, a measure of acidity, can affect a biotech treatment. While viral contamination in biotech manufacturing is not unheard of, most cases don’t become public because drug makers have multiple supply lines, according to industry watchers. In this case, they said, Genzyme was compelled to announce the contamination because it disrupted the supply of drugs. Gorman and Domenick M. Bertelli, a partner at Putnam Associates, said biotech production has been plagued by occasional problems for decades. But because biotech drugs are manufactured in batches as opposed to production lines, problems usually can be quickly isolated without disrupting an entire plant. David Meeker, a Genzyme executive vice president, said the company will enhance its safeguards and screening processes to prevent future contamination. Regardless, the incident will affect Genzyme’s business - at least temporarily. The company’s shares tumbled about 5 percent to $52.75 yesterday on the Nasdaq exchange, down $2.87 for the day. Stock analysts said the manufacturing interruption in Allston potentially could cost Genzyme $200 million to $300 million in lost revenue, depending on how much drug inventory it has on hand and how long it takes to get the plant back on line. Last year, Cerezyme - Genzyme’s biggest moneymaker - generated $1.24 billion in revenue, said spokesman Bo Piela. Fabrazyme brought in $494 million. Overall, Genzyme last year earned $421.1 million on revenue of $4.6 billion. John L. Sullivan, research director at Leerink Swann LLC, a Boston investment bank specializing in healthcare and life sciences, said he doubted the contamination incident will hurt Genzyme’s reputation or finances over the long term. He cited the company’s quick response to the virus and noted that the Allston plant manufactures products that have little competition. Erin Ailworth can be reached at eailworth@globe.com; Robert Weisman can be reached at weisman@globe.com.